We have many home bound parishioners. Several of them are residents of nursing homes. Eucharistic Ministers visit them regularly with the Blessed Sacrament. Twice a year, before Christmas and Easter, the Parish Priest visits them with the Sacrament of the Sick. The priest brings the sacrament of healing and this is also an opportunity for a social visit. Please remember to prepare the person and the room for the visit. If possible make available an area with a candle, holy water, crucifix and a white cloth. It might be useful to have a glass of water for the sick person. Family and friends are welcome to participate in the celebration. 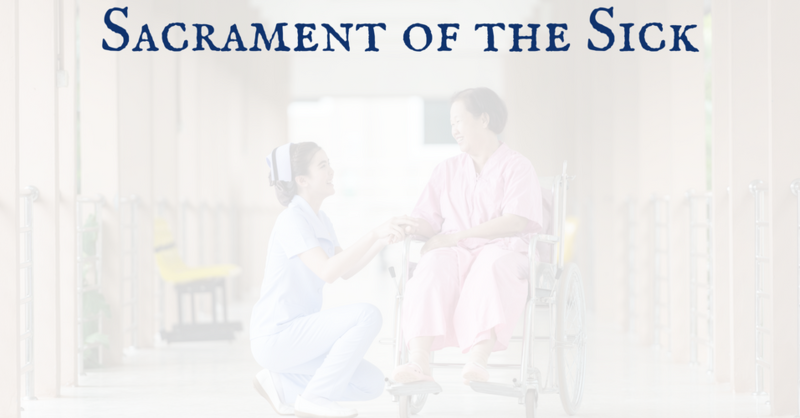 In an emergency you can contact the priest to administer the Sacrament of the Sick.